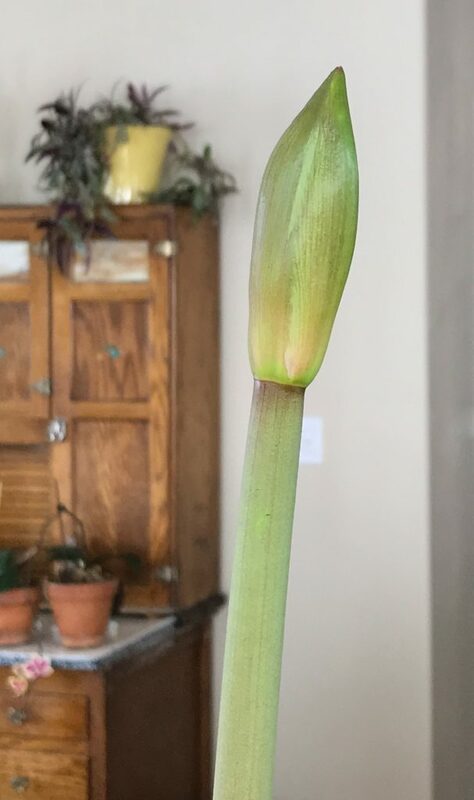 My Calla Lily that was a gift from one of my granddaughters two years ago has decided to resurrect and bloom. What a surprise to see the tip of the shoot coming out of that numb I had almost given up on. I truly though it was dead. It is close to 18 inches tall now. This entry was posted on Saturday, February 9th, 2019 at 3:36 pm	and is filed under Uncategorized. You can follow any responses to this entry through the RSS 2.0 feed. You can leave a response, or trackback from your own site.